Just 18 days after coming into this world, Oliver Rhett Osborne, passed away peacefully on November 18, 2018 in his parents arms at Toledo Children’s Hospital. 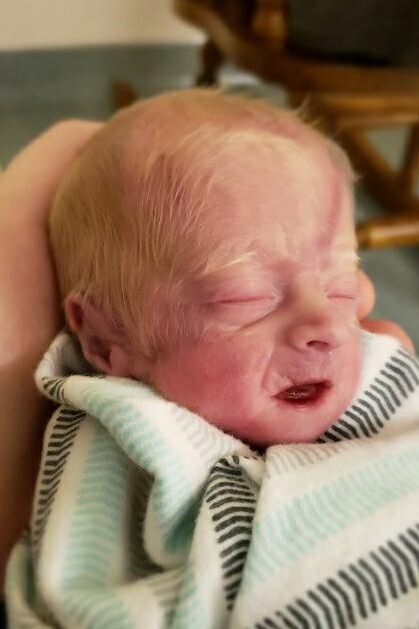 He was born on October 31, 2018 and though Oliver was only with us for 18 days he tugged at the hearts of everyone who knew him. Left to cherish his memory are his parents, Hannah Sims-Matthews and Timothy Osborne; brother, Trevor Osborne; grandparents, Terry and Vickie Sigman; Michael and Karen Osborne; Tiffany Sims; and John Matthews. A memorial gathering will take place on Sunday, December 2, 2018 from 2-5 PM at the Sujkowski-Walker Funeral Home, 830 Lime City Rd. Rossford, Ohio. Funeral services will immediately follow in the funeral home. The family would like to thank the doctors, nurses and staff at the Toledo Children’s Hospital for their effort and dedication in caring for Oliver.